The Kowa tripod is specifically designed for the High Lander Binoculars. The Kowa tripod is an elegant wooden tripod for a great product. 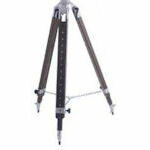 Kowa offers sturdy wooden tripods for use with their High Lander astronomical binoculars, and more conventional alloy tripod kits for use with their scopes.